There are big windows in our house and a lot of them. Some of them, even with the curtains my mom is making, don't seem to offer enough privacy. 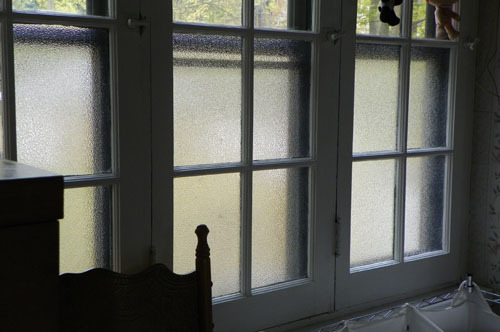 Aprille gave me the great idea of using window film, for additional privacy, while still allowing plenty of light in. 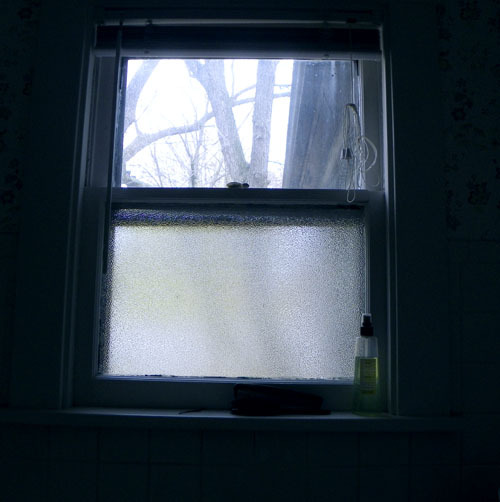 The first window i tackled was one of our bathrooms. I used a roll of bubbly film that Aprille gave me after one of her projects. Now I am working on the windows in our changing room... there are windows the entire way around the room, so it's taking awhile. My favorite window in the house is wee little one in the tiny bathroom under our staircase on the first floor. i got another roll of film that looks like rice paper when I started on that one. 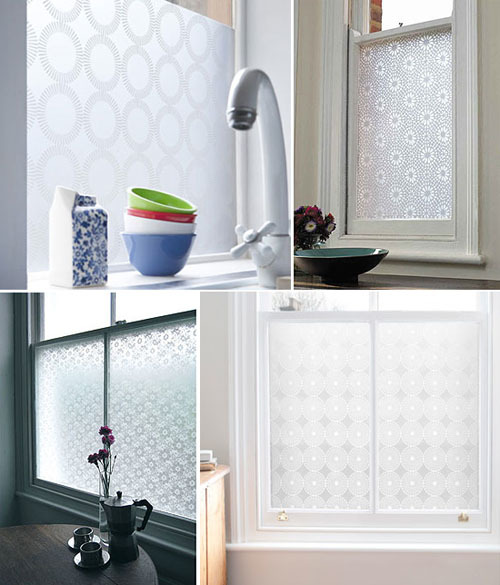 I have been drooling over these fancy window films. They are pricey but so cute! That's a great idea. Love the fancy window films, especially the first one. Very nice! Who knew windows could be so pretty? Are they difficult to apply? If they're sticky, how did you avoid bubbling? They aren't sticky at all. You spray the window with water with a few drops of baby shampoo and the film clings to that then dries. what is a changing room? Like a "dressing room" - where people used to keep their close and change. I'm not 100% sure that's what it is.... we have a big room attached to our master bedroom. Makes sense except there are big windows the entire way around. I wonder whether you could create your own window films with your Cricut? That would be fun. :) Those are gorgeous. Never thought about doing something like that ~ it would be great for our master bathroom window. Lisanne - I think you are onto something there.